Kutztown, PA – Founded in 1990 by LA Parent Magazine, the National Parenting Product Awards (NAPPA) has been the “go-to” source for parents and professionals who are seeking the best children’s products available for the past 26 years. 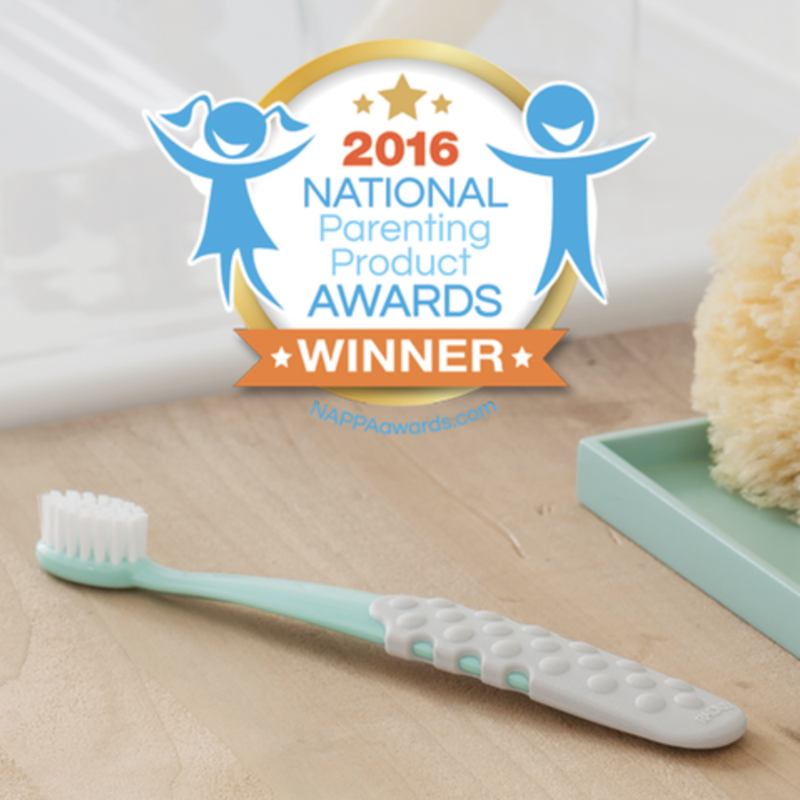 NAPPA, which is celebrated as being one of the longest running and most respected awards programs in the country, has recognized the RADIUS Totz Plus™ Toothbrush as a 2016 NAPPA recipient. “RADIUS has always taken our customers’ demands and feedback into account when designing new products. We heard a huge cry from parents for quality children’s toothbrushes that are made in the USA and we’re thrilled to be able to offer that to our loyal consumers. To have our efforts recognised by such a respected awards program is a great honour and we’re very proud to receive the NAPPA seal of approval,” CEO and President, Saskia Foley said. NAPPA has a very comprehensive and selected judging criteria and is more than just a seal of approval. Winning products have been rigorously assessed and deemed “best in its class” by a panel of expert judges, testers, and reviewers. NAPPA judges are industry experts who have extensive professional experience working with children and parents.